Designed with the purest style and comfort in mind, our exclusive GloFX Chrome Diffraction Glasses will add an impressive shine to any rave outfit. The sleek look and feel of these GloFX Glasses designs will blow your mind from the moment you put your hands on them. This new design features an attractive metallic finish that can match with practically any outfit, and silver mirror lenses which accentuate the exclusive chrome look. Our Diffraction Glasses are popularized by their stylish appearance and revolutionary diffraction lenses which give you the look of premium sunglasses but with all the fun of diffraction! 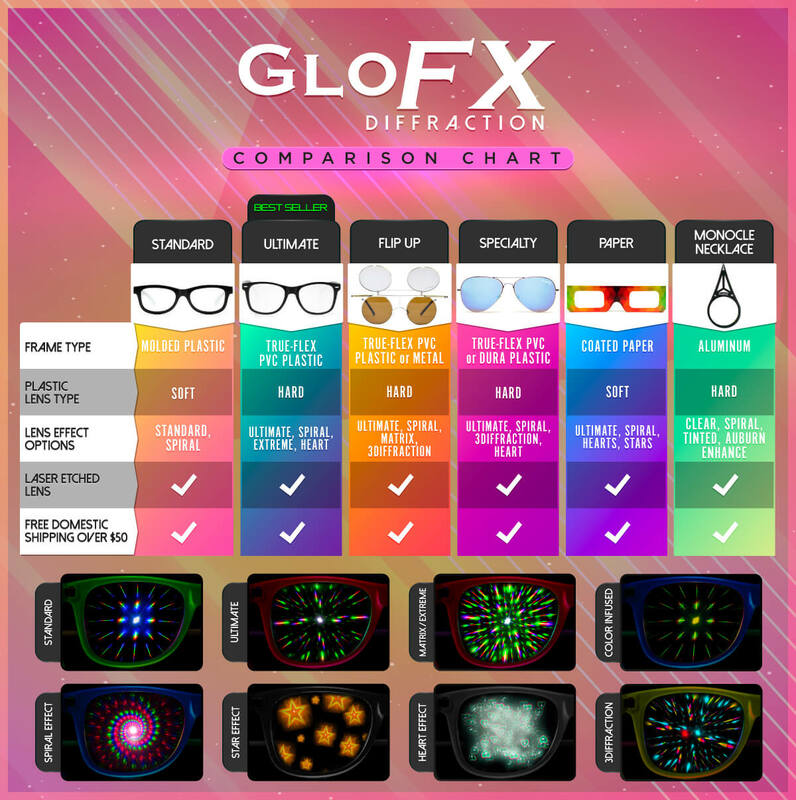 Assembled with stainless steel hinges and high quality parts, each pair of GloFX Diffraction Glasses are proven to be durable and long-lasting. We stand behind the quality of our products, and our Diffraction Glasses are backed by an industry-leading Lifetime Limited Warranty. Grab a pair and turn heads with the shine of your Chrome Diffraction Glasses today!